As we are now living in the digital age where aesthetics is paid attention to more and more. People tend to pick fashion over function without consider carefully whether it’s good or bad. 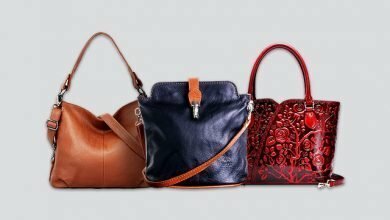 In fact, many individuals will grab those fancy looking bags or purses over the functional and practical selection. At the end, it might cause shoulder, neck, lower back pain and seriously, even dysfunction. This consequence has been proved by many researches that carrying heavy bag for a long term makes the gait thrown off, your upper trapezius overactive and painful. Not saying that your gravity center might be moved to the side, which causes imbalance. That’s why here, I give you some tips to try carrying your bag and avoid shoulder pain. Carrying a heavy bag is not a recommended thing, carrying it on one side for a long time is even a no-no because it causes an asymmetric load. Day after day, this may lead to your spine imbalance and other worse consequences. To that end, try a crossbody bag so that you can distribute the pressure evenly through your body. If you wonder which is the best way to carry a heavy bag without causing any harm to health, then the bad news is to not carry it. It’s an inevitable fact of life that the lighter you load, the less stress it puts on us – carrier, which leads to the result of minimizing all kinds of matters such as spinal lordosis angle and changes in posture to the cranio-vertebral angle. This consequence not only happens in teenage and kids, but also in adult. Actually, talking about the weight range carrying in a bag that is good for health, there is no exact limitation. But it does have a formula! Based on many researches, the maximum weight that should be loaded in a bag will be roughly 15% of the carrier’s bodyweight, (the recommended limit is around 10%). For example, if you weigh 140 pounds, the ideal weight limit is appropriately 21 pounds. It means that if you carry heavier bag, especially in long term, it will cause harm in your spine, back and posture. Another tip to back your backpack is putting the heaviest objects on the bottom of your bag. This is due to a study, it said that the lower load the object is placed, the fewer changes it causes in your spinal curvature and posture. Not saying that this helps those kids in middle-school ages carry their bag more easily. 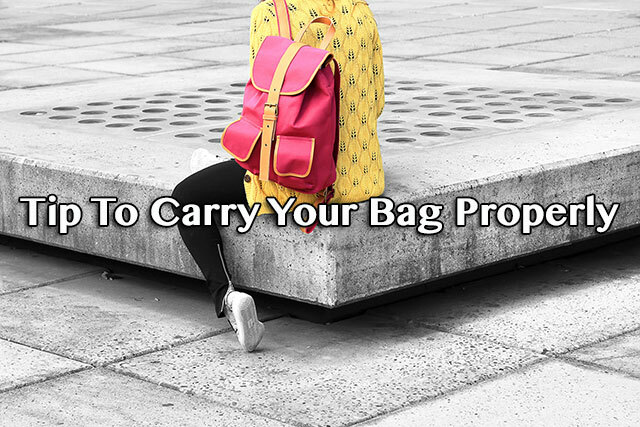 Besides, avoid carrying your bag for a continuous long term. If possible, please take breaks to reduce strain. In case you have to carry heavy bag unavoidably, let’s focus on strengthening your back and core muscles to keep these body parts against twisting as well as promoting better postures. With heavy loads, bear on mind using two straps. If using a single strap, only one side of your shoulder will bear all pressure. Not saying that during you carrying heavy bags, your neck is the weakest point, not the back. That’s why when you carried a heavy crossbody bag after a day long, your neck is painful and numbed. To that end, the best way to relieve it is using two straps or backpacks because that helps to correct your posture and distribute balance force on your body. 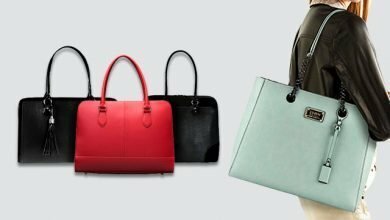 Another study has shown that women take higher rate in people suffering pain from carrying bags because they usually choose handbags, crossbody bags as their daily carrying. 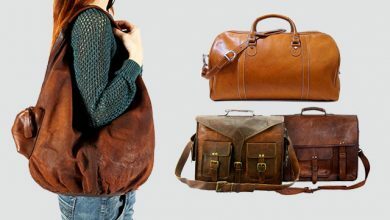 In case one-strap bags is your one and only selection, let’s swap sides periodically. This might be a little bit difficult at first because you get acquainted to the regular side of shoulder carrying your bag. However, trust me, after a while carrying it on the other side, you will get used to it and feel better as switching shoulders periodically helps a lot in decreasing asymmetry and strain on your body. Honestly, weight only takes a part of influence on causing injuries and damages to your body. There is a term called “Postural sway”. It talks about the amount of tension and torque put on your spine by a heady bag. Many researches said that the closer you carry a bag to your body, the less damages and injuries it will cause, particularly the amount of stress and sway put on your spinal and neck muscles. 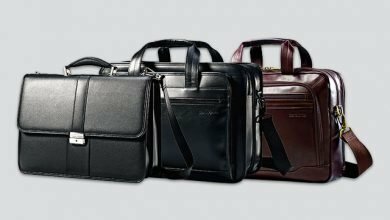 If you don’t know how to choose the right bag for your body type, consult here for the ultimate guide. Many people virtually forget to care about the way they pack and distribute loads in their bag. But in reality, this does make a huge impact on avoiding postural stress. This has been proved by a study saying that spinal motion can be decreased by an evenly weighted bag while ascending and descending chairs. The formula of carrying a bag with weight limit equaling 10-15% carrier’s bodyweight should be used in any bags (including messenger bags and totes). I know that many of us don’t like backpack and even think this idea is nonsense because of its practicality over the aesthetics. 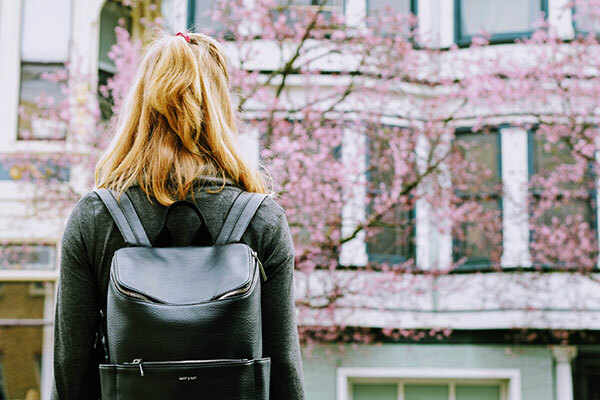 But trust me, nowadays fashion brands have revived backpack with better compromise in function and design to surely make you love carrying it. 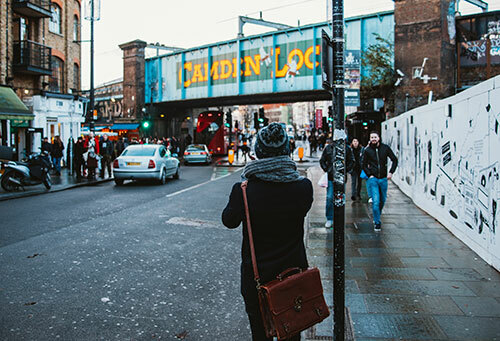 Even many fashionistas lately have turned to use backpack as their everyday carry. As I mentioned above, using two-strapping bags hugely reduces the amount of asymmetry and strain since the load will be divided evenly to both sides of your shoulder. Dr. Hayden says that the wider the strap, the better as this helps to distribute the load over a larger area to secure your shoulder delicate structures in which there are nerves connecting your arm and neck. Again, due to Dr. Hayden, these areas are easy to suffer potential damages if your body carries a heavy load. To save these body parts, consider choosing wider straps or alternative handles so you can carry your bag by hand. To leverage the strength and flexibility of your shoulders, it’s essential to joining exercise. There are many forms for you to choose like yoga, stretching, light weights and pilates. Dr. Erickson says that it’s useful to walk without carrying a bag from time to time, for example, just bring your essentials when you go out for a meal. This will help a lot in restoring your natural gait by let your shoulder swing naturally. Women usually carry a handbag and wear high heels, but this is an awful combination because those shoes will tilt your pelvis forward, which predisposes you to back, leg and neck pain. The best choices to combine with heavy bags are sneakers and sandals for women whereas for men, they are loafers, dress shoes, running shoes, etc. Here are my 6 major tips on how to carry a heavy bag properly without causing harm to your back, neck and shoulder. They are easy to carry out but give huge impact on improving our health as well as avoiding many risks and potential injuries on our body parts. Hope that you will find this article is helpful. Have a good day!